The Slim Oregon Pine fits almost anywhere. Its slim profile is a small space solution. 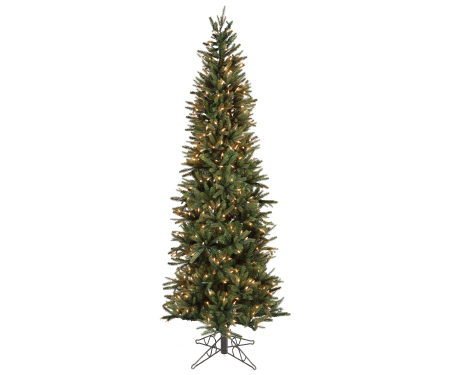 Features 3-tier hinged construction, a PE/PVC narrow, tapered tip, incandescent mini lights and a green metal stand. Size/Base 6.5′ H/ 30″ Dia.